At GGP, pineapples are processed just after harvesting, and on average, are never in a holding bin for longer than 3 hours - a claim no other pineapple producer can make. The entire process, from holding bin to sterilization, takes only one hour - capturing the fruit at its prime, and retaining its freshness through canning. 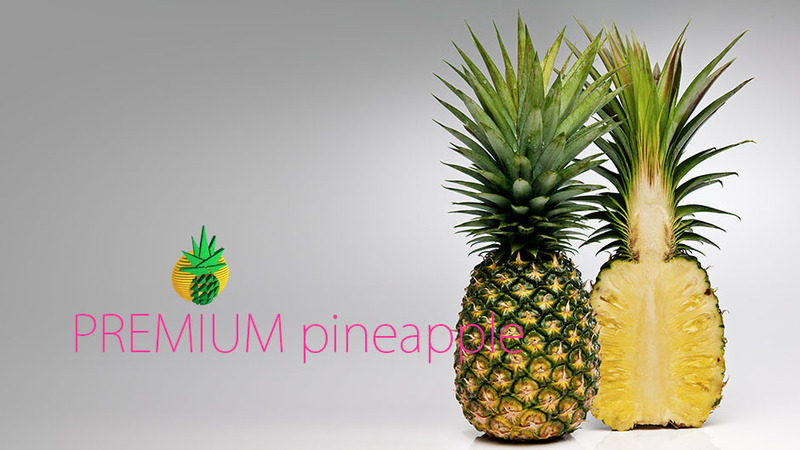 GGP exports pineapple slices, chunks, tidbits, crushed pineapple and pineapple juice concentrate to over 50 countries. Our quest for the perfect pineapple began three decades ago, at our plantations in Lampung on the island of Sumatra. At our plantation, over 75,000 acres of prime agricultural land are devoted to the cultivation of the smooth cayenne variety of pineapple, chosen for its reliable yield of quality fruit. Each pineapple planting typically requires a cycle of 36 months. Our harvest capacity per day is approximately 15 hectares, with a yield of 70 tonnes per hectare. Pineapples are an all-time favorite fruit across the world, and the very best ones come from the tropics, where nature ripens them to sweet, juicy perfection. 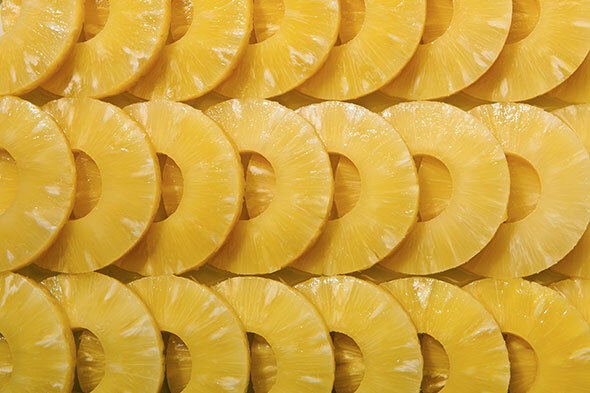 Color is an important indicator of how ripe a pineapple is. It is essential that each pineapple be hand-picked at the peak of ripeness, and transported to the processing facility without delay.